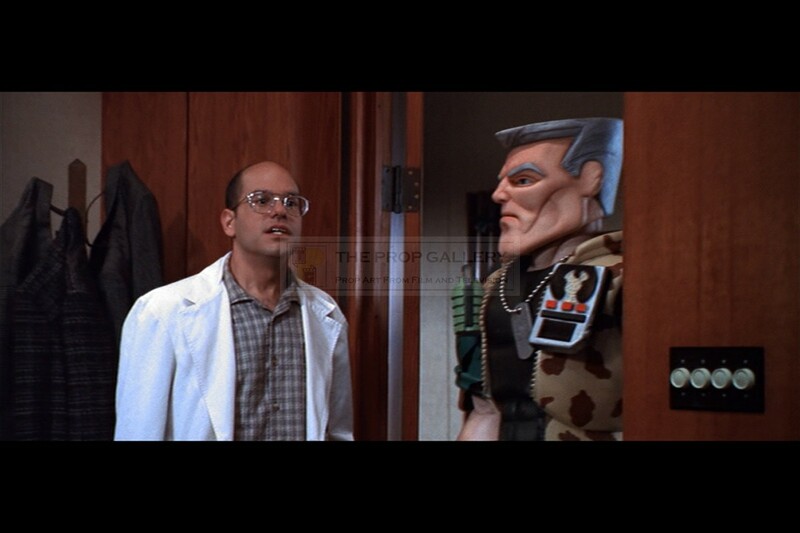 An original prop created during the production of Small Soldiers, the 1998 science fiction picture directed by Joe Dante. 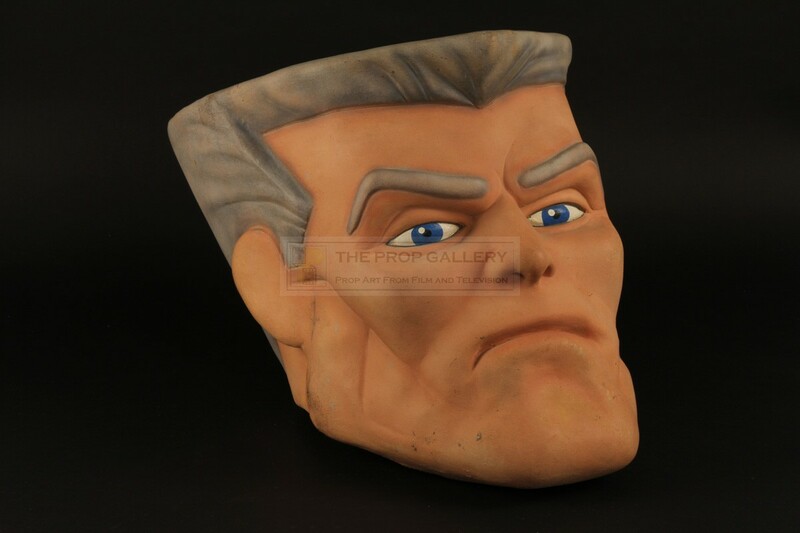 This life size head of Commando Elite leader Chip Hazard is the original paint test used during the creation of the wearable costumes built for the Small Soldiers Behind the Scenes Experience at Universal Studios opened to promote the release of the movie. 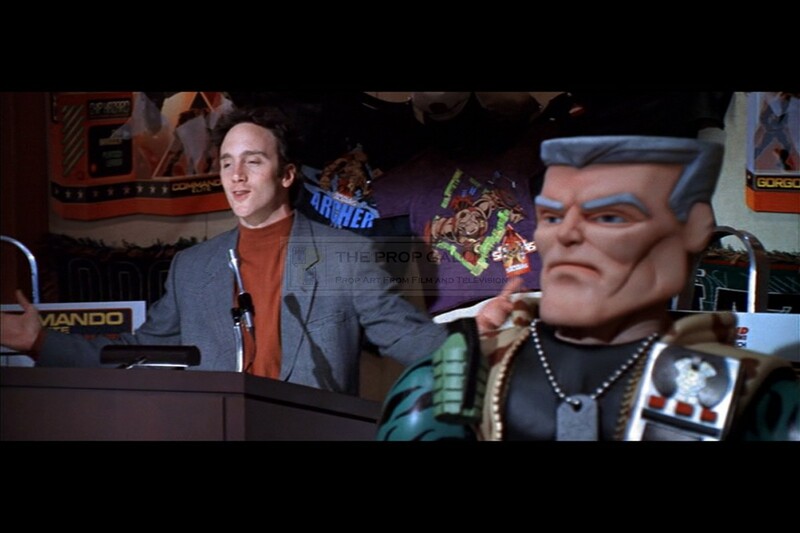 At the time these wearable costumes were being created for this use the movie was in post production however it was decided to use one of the costumes as a mascot in the toy conference scene which was filmed as a pick up shot, in the scene an actor is seen walking in to the presentation dressed as Chip, this costume being finished to a higher standard that the experience examples with this paint test having exacting detail to the screen used head. 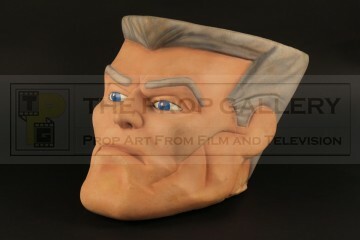 The head is constructed from rubber which has been foam filled with a hole to the interior allowing it to be placed on a stand, the paint finish is expertly airbrushed to resemble the Commando Elite leader. 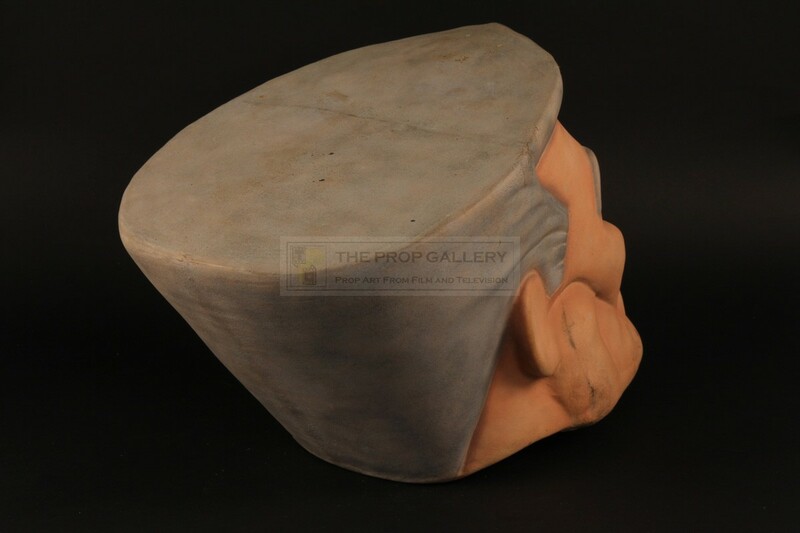 The head measures approximately 15" x 13" x 12" and remains in near perfect original condition, extremely fine. 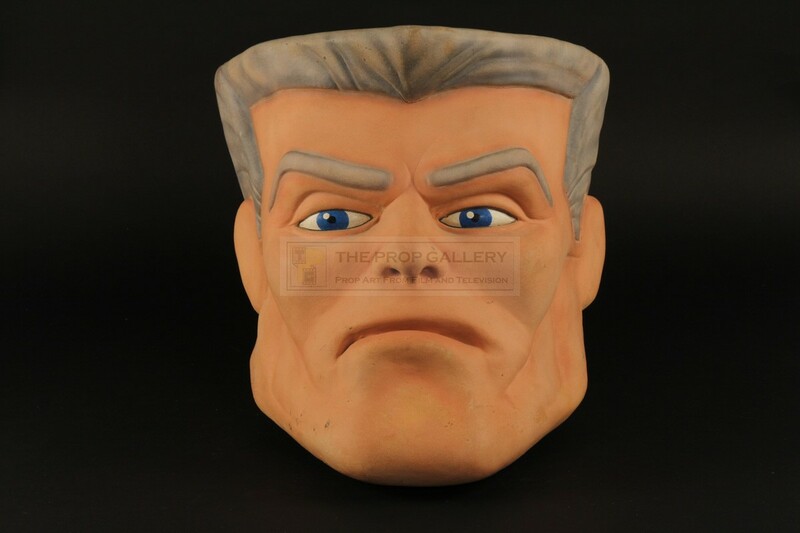 An instantly recognisable and highly displayable artefact from the production of this cult picture.